Does Jackal Fool Lion… Once Again? 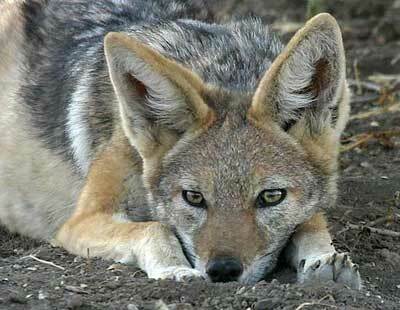 Long, long ago somewhere in Africa… When the earth and all the people and animals were new… Jackal was moseying along through a narrow, rocky passage between the hills. As was his habit, he kept his nose to the track as he ambled along, checking for interesting smells. “Never know when or where my next meal could turn up,” he thought to himself, although it was highly unlikely that a rat or a fat little mouse would be out in this heat. But possibly there would be a lizard or a rabbit out and about, for his snack. All of a sudden, he became conscious of movement up ahead of him on the path. 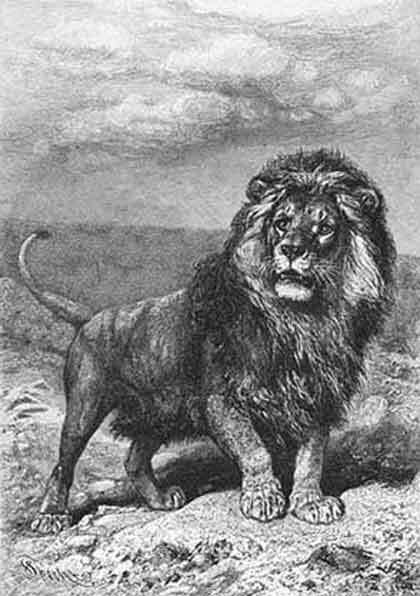 Lion looked up at the large rocks above him, most alarmed. Before he even had a chance to think, Jackal was begging him to use his strength to hold up the menacing rock. So Lion put his muscular shoulder to the rock and heaved.